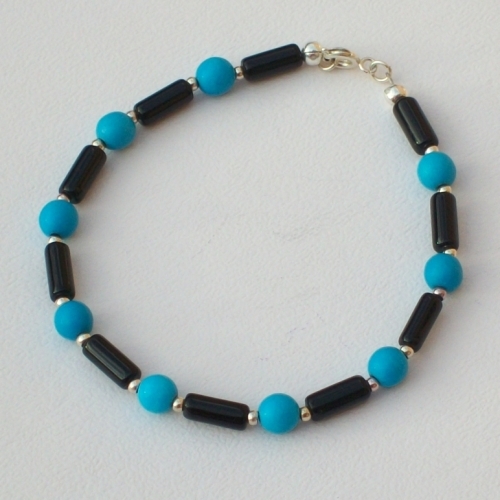 A bold egyptian inspired bracelet of vivid blue turquoise beads and black agate tubes spaced with small silver plated beads. 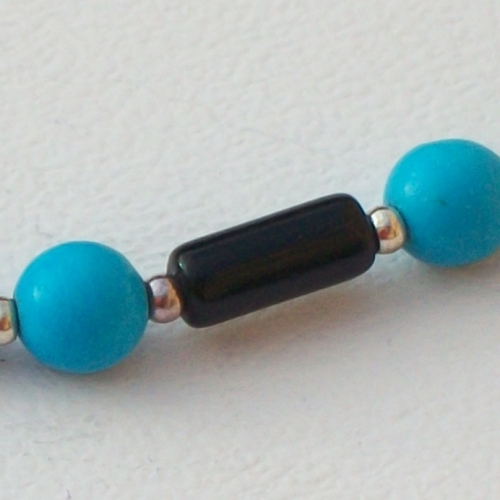 Finished with a silver plated bolt ring clasp. 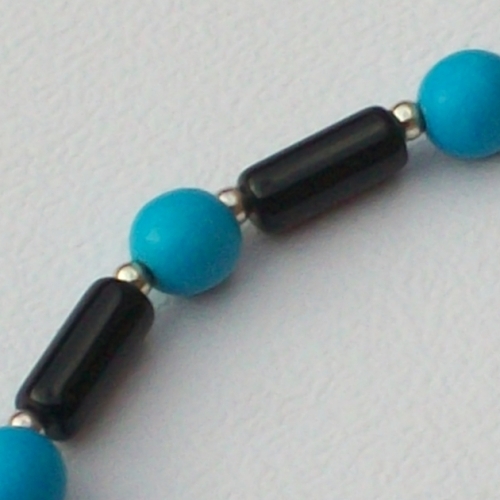 Bracelet measures 8" in length including clasp.